Every weekend Stew the were border collie gets out there in a field and shifts sheep. It's super authentic, kinda like making your own pickles. And Stew's ancestors were all about shifting sheep... well, at least on the were border collie side of his family. So use WASD or the arrow keys (or a d-pad!) to shift that sheep around and get it onto the target. If you push the sheep up against the fence by accident, a handy RESET button will show up to help you fix that problem. 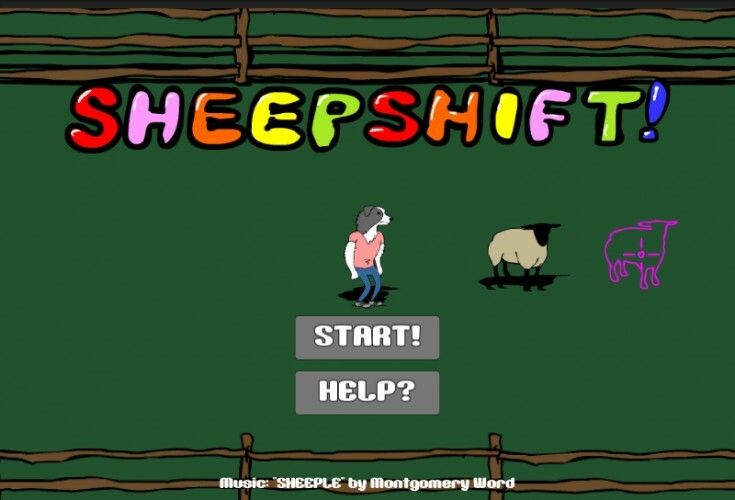 Each time you get the sheep to the target you'll get a few extra seconds added to your time.